The goal of the Shark Stanley and Friends campaign is to find supporters of shark conservation in every single country voting at the upcoming Convention on the International Trade in Endangered Species (CITES) in Bangkok, Thailand and have them take their photos with Shark Stanley, Manta Reina, Pierre le Porbeagle, and Waqi Whitetip. Each photo will represent a ‘signature,’ and we are compiling a petition that will show the global faces of shark conservation. As of this writing, Onon and I have reached 48 countries, well on our way to 177. The world is a diverse place, so in order to get our materials translated into other languages and cultures we are by partnering with dive shops and environmental organizations around the world. 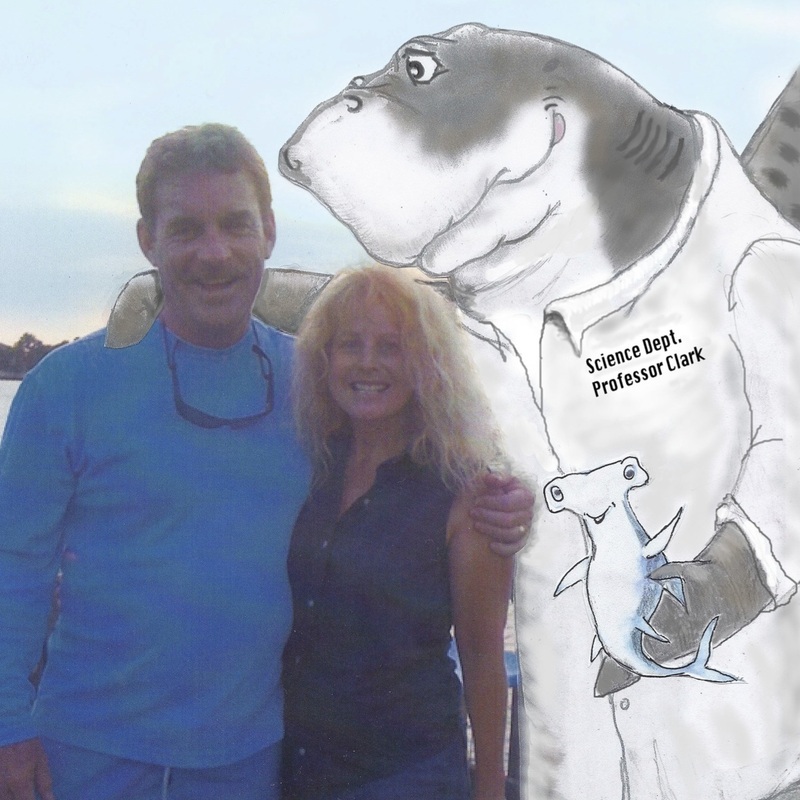 In Florida we have teamed up with Professor Clark the Science Shark and his creators Scott and Karen Lamberson. We had the chance to chat with them over the weekend. Leah: Your character, Professor Clark the Science Shark, is aimed at young people. Why do you think young people so important to conservation? Scott: Our children today are the adults of tomorrow! Our future generations must be educated about what is happening in our oceans right now, or else, the ocean really doesn't stand a chance of staying healthy and vibrant. In this generation we are already seeing horrific changes that must be fixed! The continuing practice of killing millions of sharks a year must end, and the time is now! Leah: That’s how we feel, too, which is why we launched the Shark Stanley campaign. 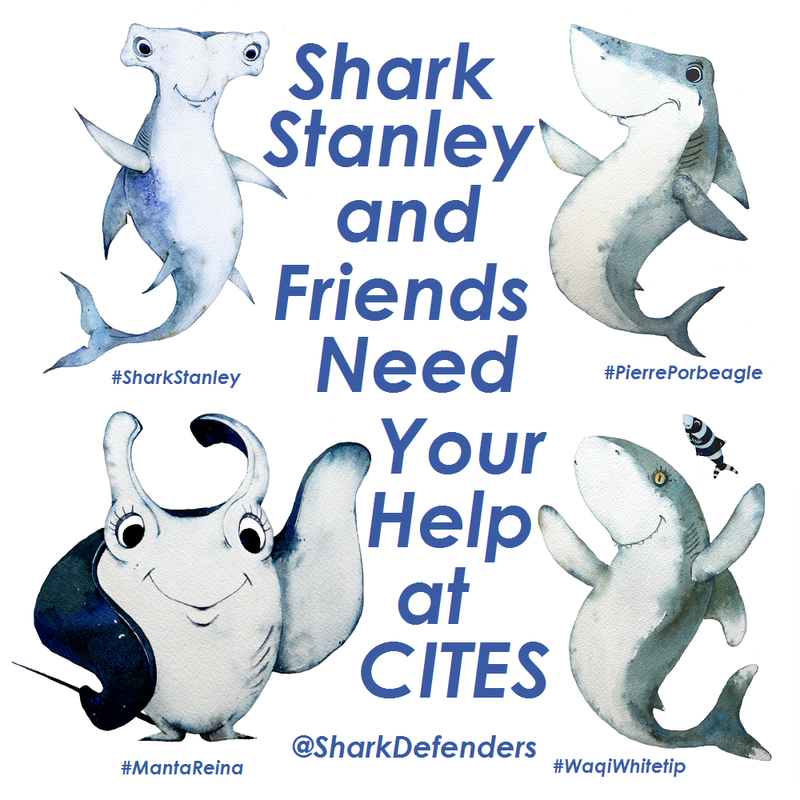 Our goal is to get young people in all 177 CITES member countries to take their photo with Shark Stanley and his friends. Scott: What a great idea! We are hoping that we can also help spread the word and educate the next generation because this is a global problem, and it will require global action to overcome it. Leah: Do you have any advice on how young people can get involved? Karen: I tell young people that they are the "chosen generation" that can actually make a difference right now for the future generations to come. 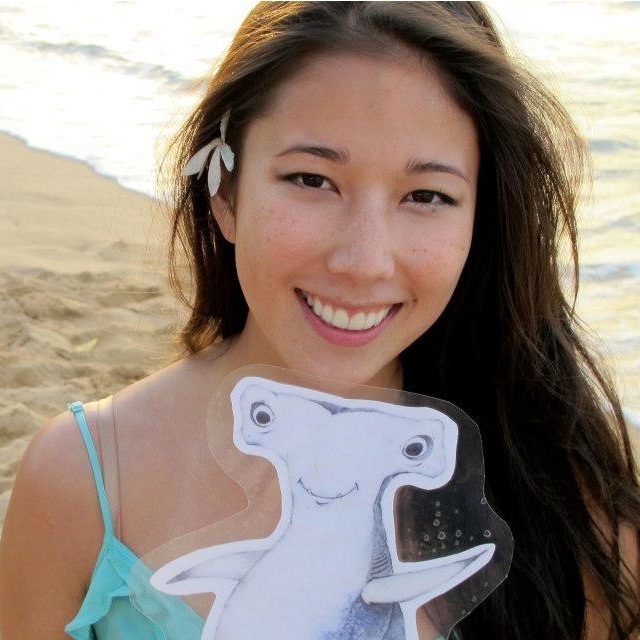 By becoming involved, through advocacy campaigns like Shark Stanley and educational programs like Professor Clark the Science Shark, the lives of our youth can take on a whole new meaning! Those beginning baby steps turn into leaps and bounds towards positive changes for our world and our oceans. Leah: I agree! Education is the key here. Now tell me about your book series Professor Clark the Science Shark. And what led you to care about sharks & the oceans ecosystems? Karen: I am an art teacher and animal lover. We knew we had to do something after seeing the documentary This is your Oceans: Sharks. We decided to develop an educational book series about a shark character based on our close friend Dr. Brian LaPointe, a professor and conservation scientist. Scott thought up the name Professor Clark the Science Shark, and together we created and wrote the story lines for our first 3 books. It was a perfect fit for me as an artist to also do the hand drawn illustrations. Leah: I have a feeling Shark Stanley and Professor Clark are just what we need to help bring awareness to the plight of sharks and our ailing oceans. What a great way to help educate our children, who in turn can get their parents and grand-parents involved with saving the sharks worldwide!